The mobile devices of today have been improving in leaps and bounds and, in the last few years, have gotten to the point that the little phone in your pocket has essentially become a full-fledged personal computer. While the extreme jumps in technology and capabilities that these phones are making is impressive by its self, what is also impressive, albeit dangerous, is the security risk that each of these devices poses on their owners. Even in the current lineup of the most modern 4G and LTE devices that are on the market, with the exception of Apple products, there are still security vulnerabilities that really cannot be overlooked. But you may be asking just what security vulnerabilities are present? Well in a traditional PC sense, the biggest security problems exist in the form of viruses, malware, Trojans, etc. But when it comes to mobile devices, these more than common problems are almost nonexistent. Only about 5% of all android based mobile devices are affected with these types of problems, and those are all mostly in foreign countries, there are virtually none in the United States affected. Instead, the biggest problems that these devices face are more cynical in nature. 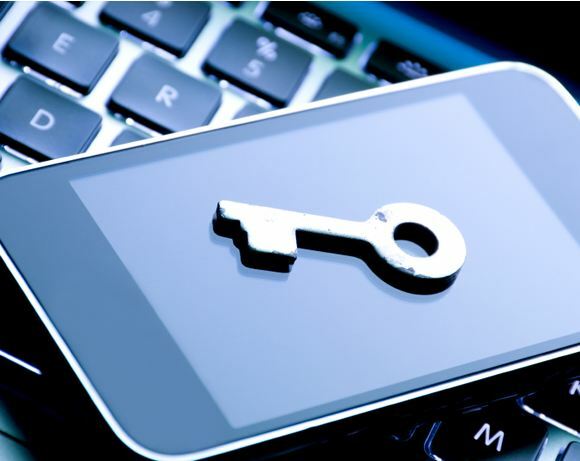 The mobile devices of today are actually at risk for personal information theft and corruption. In particular, what is at risk for being stolen or tampered with are all of the passwords, contacts, private text messages, and any other sensitive information, like stored payment and credit card information, etc. that is stored on your phone. Your phone becomes at risk for this information in quite a varying number of ways. The biggest and easiest way is through the applications, or ‘apps’, that you download and install onto your phone. It is becoming more and more aware that many of the apps that are downloaded include intricate and extensive marketing and information skimming codes that, with bundled with the extensive permissions granted to them, can basically access any information on your phone. While these types of apps and processes rarely steal information per se, they do collect search terms and compile advertisements tailored to your searches and in many cases, download or install additional apps or icons to your phone to advertise or lead you to online advertisements. Again, while these are not inherently bad, they can be troublesome and are probably not really wanted by any user. Also Read: Is 4G Forgettable? The second biggest threat to your mobile device comes from the risks of loss of information due to a multitude of sources. Sources like the scanning of malicious QR codes, accessing questionable websites, or downloading, installing, and running unknown apps since the apps for android based devices do not require any accreditation (which again is not a problem for Apple products since all apps to run on Apple devices must pass security checks before being allowed to be uploaded to Apple’s App Store). So if there are all these potential security risks in owning a non-Apple product, what can be done to insure the safety and security of you and your information? The answer is simple, run a security App. There are several out there on the App market at the moment, some better than others, but I will list the top 3 based on price and popularity. The first app that merits the top 3 status is Bidefender’s Mobile Security. Bitdefender has been making huge strides in the personal computer security industry and has started sharing some of that success into its mobile security branch. Bitdefender offers a decent level of protection for all your phones contacts, apps, and internet security. But for the price is slightly lower in value than McAfee and Trend Micro. The second in the list is McAfee’s Mobile Security. McAfee offers top-notch protection for everything that your mobile can do, however, despite this McAfee has been described as overly heavy. It is not a discreet app; it is always sending notifications, asking for app permissions and in doing so takes a lot of power and subsequently juice to run. So it can make your device run much slower and drain your battery much faster than normal. Due to this fact, it only stops at number two. The third and best by price, usability, and customer satisfaction is Trend Micro’s Mobile Security. The Trend Micro app has the best possible security for every aspect of your phone, much in similarity to the McAfee app, but is not as intrusive. While it still provides users with notifications, it more or less is automatic and runs in the background after initial setup. Trend Micro also boasts features included such as backup and restore, syncing, and longevity that can be integrated into its security suite. About the Author: Software and Security Savant, Kaito Mori has been devoting his time between his family of four and keeping people safe on the internet with Trend Micro.